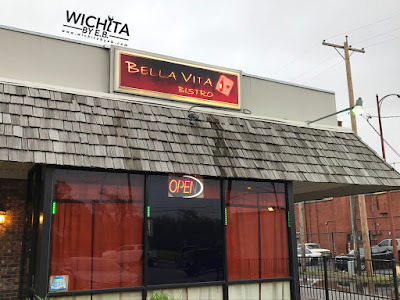 Bella Vita Bistro Review – Wichita By E.B. There are certain restaurants you’ve been to in the past and remember them being just excellent. That’s the case of Bella Vita Bistro. 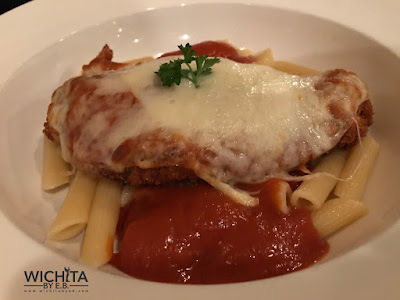 It’s been a number of years since I last dined at Bella Vita Bistro and decided to stop in with some friends to do a full fledged review. 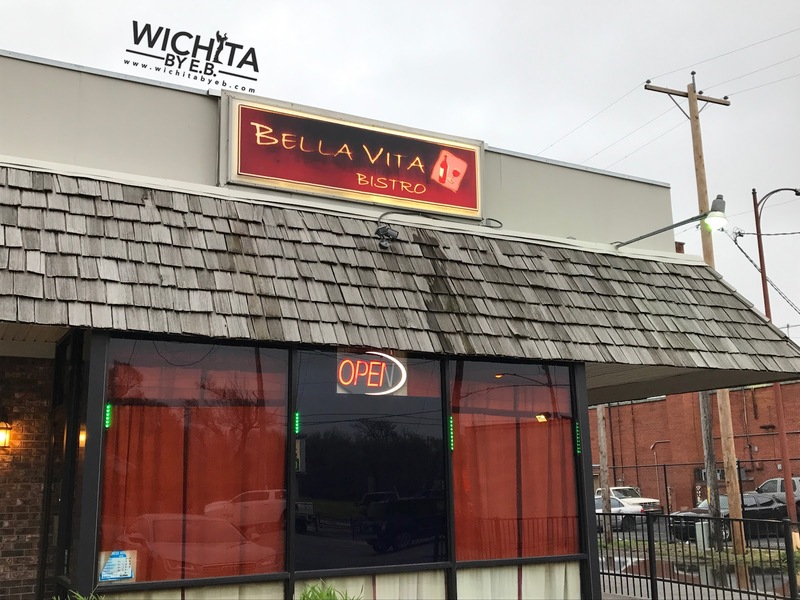 Opening back in 2010, Bella Vita Bistro has been serving authentic Italian foods to their adoring fans for many years. 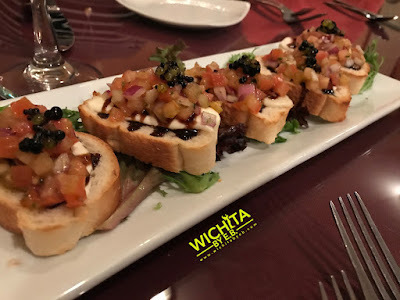 They recently introduced a buffet on Fridays but for the purposes of this blog we stuck with their dinner menu. My friends and I started our meal with a couple appetizers: Crispy Garlic Calamari and Bruschetta Di Pomodori. Both were excellent starters to begin our meal. 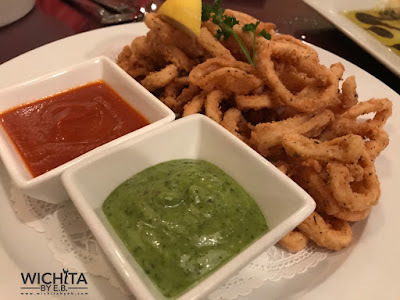 The herb (green) sauce that came with the calamari was a thing of beauty. The little dish was gone in seconds once people noticed how delicious it was. It was savory and zesty all in one. We then moved on to bread, soups and salad. 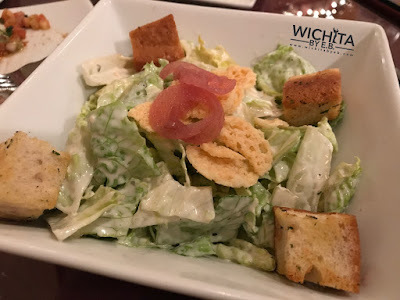 A vegetable soup was on special that day so we ordered that along with a house and Caesar salads. You can’t go wrong with bread but the soup was another thing. 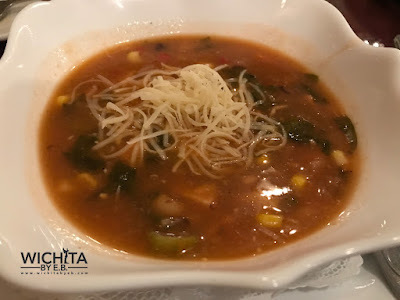 A couple of us tried their vegetable soup and unfortunately there just wasn’t any flavor to it. It was almost like watered down broth with beans and corn. One thing to keep in mind is with authentic Italian foods, the sauces are different in flavor and texture. For example marinara sauce as we know it here in the states isn’t really an Italian thing. Like the salads earlier, the opinions on the dinner was mixed. 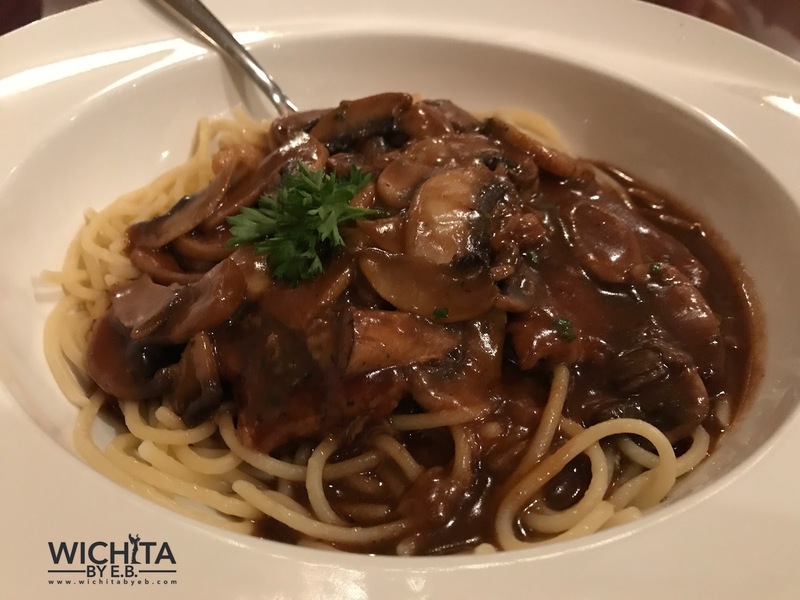 I ordered the Veal Marsala and could only get down about half of it. Not because it was bad but because I was so full from appetizers, bread, soup and salad. For what I was able to fit in, I liked my Marsala. The sauce was thicker and heavier in flavor but really complimented the noodles. For what it’s worth, the noodles there are excellent. 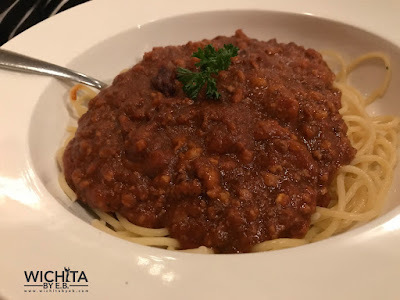 One of my other friends had the spaghetti with meat sauce. She considers herself an expert on it because anywhere she goes that serves it she’ll order it. She never strays away from it. At Bella Vita Bistro, she wasn’t a fan of it. The meat sauce just didn’t have enough flavor to it for her; it didn’t have that tomato-ey taste that she had become accustomed to. The other reviews on the the remaining items were a little mixed. My friend felt the Chicken Parm was unmemorable. The Hangar Steak and Mashed Potatoes was really heavy on the gravy which overpowered the meal and visually it just wasn’t appealing. Then the Tortellini, I was told was good; no further explanation given on it. A couple of my friends were upset by the experience because they told me they had a great time the previous dinner they had at Bella Vita. It was really hit or miss for everyone but that can be the case at any restaurant. 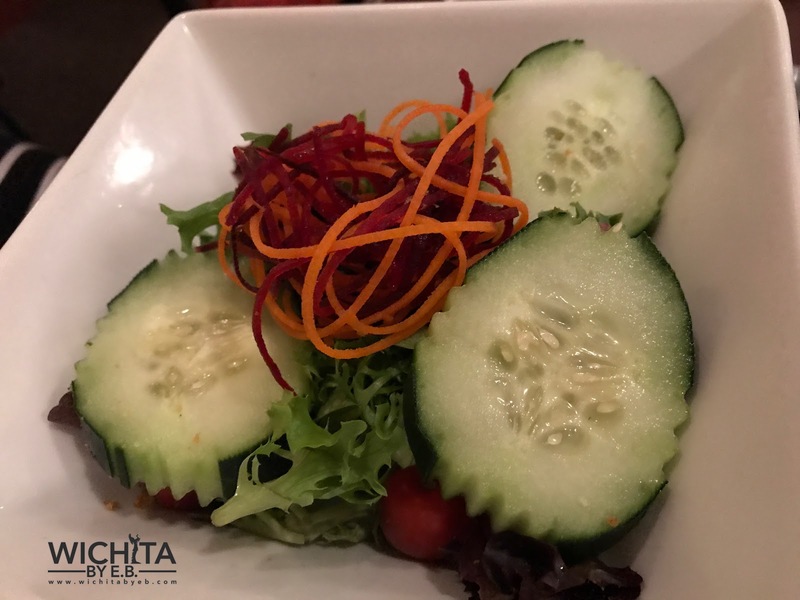 If you order the wrong thing that doesn’t vibe well with your taste buds, it could change how you feel about a restaurant. 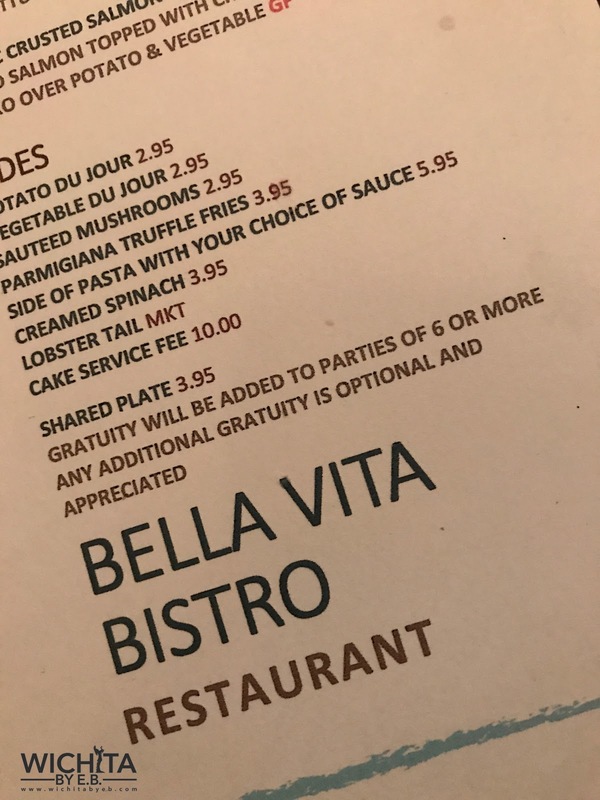 To make matters worse, our party of five had our gratuity added on. 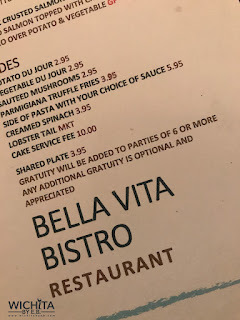 While the menu states gratuity is added to parties of 6 or more, our group only had five. We didn’t complain about it but just felt a bit put off by the whole thing. We were fairly certain our server could count to six but that evening she failed. The whole evening she did a great job with taking care of our needs and was deserving of a good tip. While it could have been an accident, we just let it slide and moved on with our day. 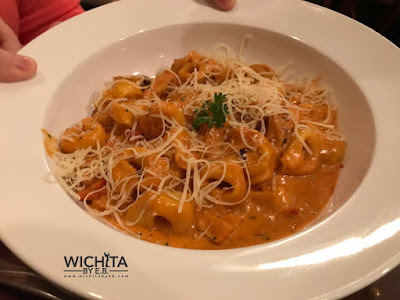 While Bella Vita Bistro is highly regarded by many folks as one of the best Italian restaurants in Wichita, it was mixed for our visit. 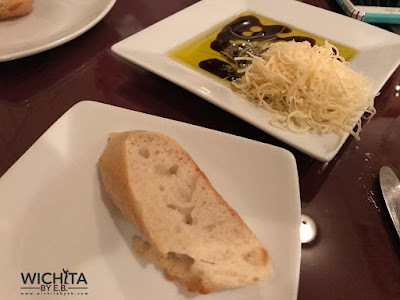 As stated earlier, a majority of our group has dined there before and had great experiences. This time around though, it just wasn’t that way for most. 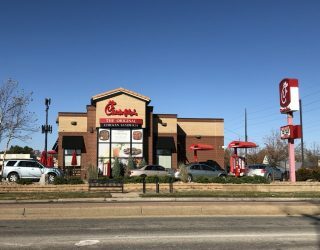 The visit didn’t deter anyone from saying they would go again; they would just order something different. 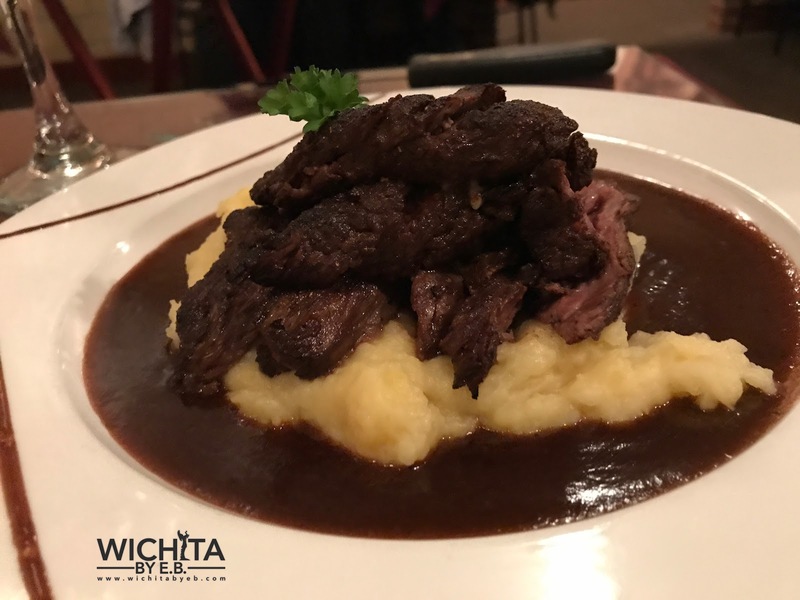 Previous articleMore New Restaurants Coming to Wichita!